3 Bdrm Top flr Flat. Hall. Lounge. Kitch. 3 Bdrms, 1 with ensuite shower rm. Bathrm (CT band - E). Parking. 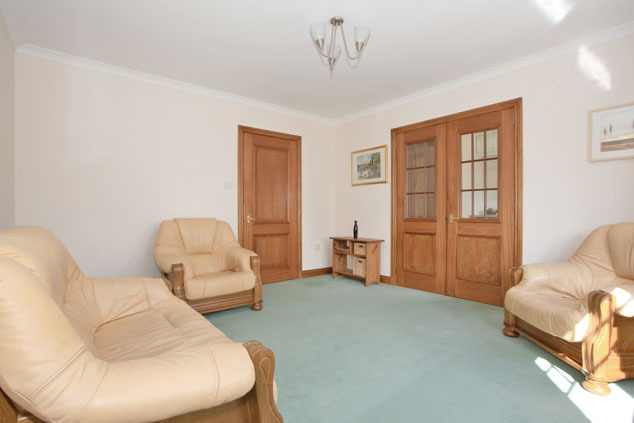 Price over £199,500 Entry by arr. Viewing contact solicitors. Below Home Report Valuation (EPC band - C). 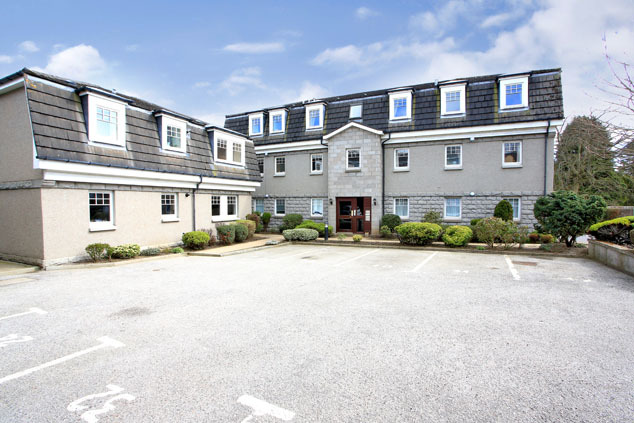 Generously proportioned, well maintained and in a sought after location. 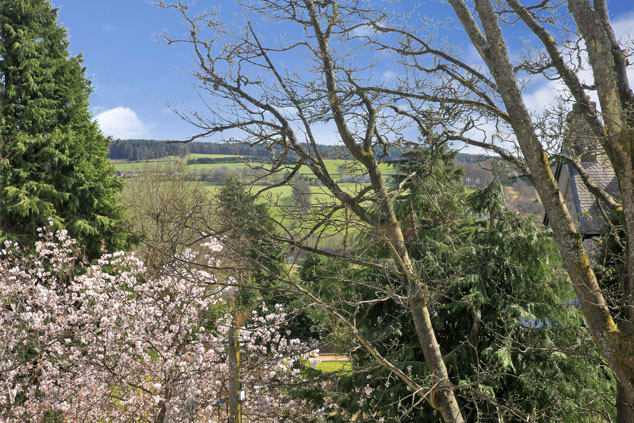 These are just some of the many qualities of this three double bedroomed top floor apartment which enjoys fantastic far reaching view towards South Deeside. Enjoying a particularly light and airy atmosphere due in part to the generous proportions of the rooms and to the large double glazed windows throughout, the subjects also benefit from gas fired central heating and the communal areas are protected by a security entry system and maintained under a factoring contract. Internally the subjects comprise of a welcoming hallway, a lounge with lovely views and double doors open to the kitchen which is comprehensively equipped with appliances. 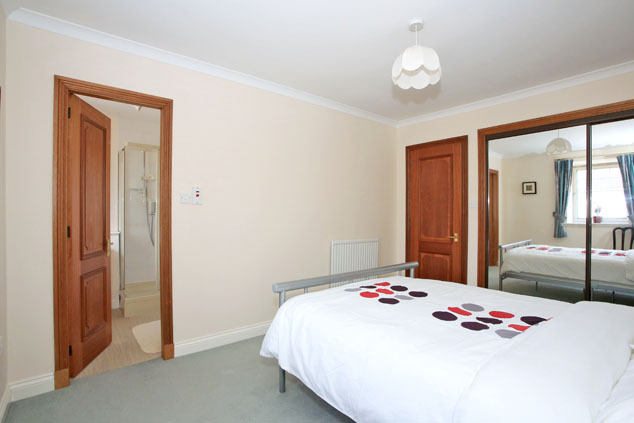 The master bedroom benefits from an en suite shower room, there is a further double bedroom which along with the master has built-in wardrobes. 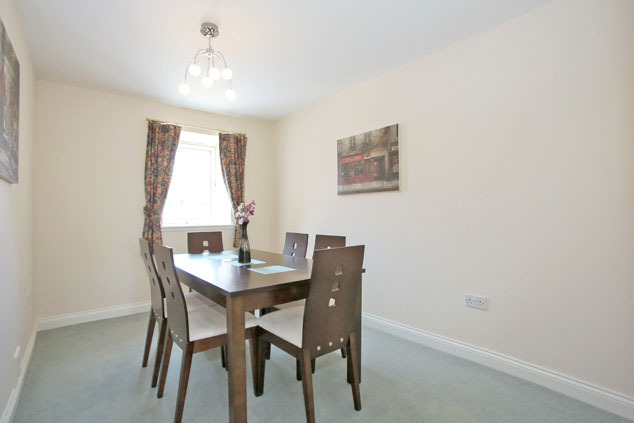 The third double bedroom is adaptable and currently used as a formal dining room. 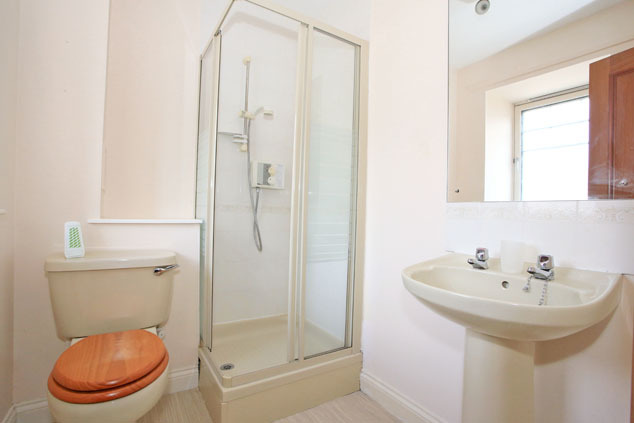 The bathroom with shower over bath completes the accommodation of this appealing property. Outside a small courtyard provides visitors parking and the exclusive parking space is clearly numbered and visible from the property. 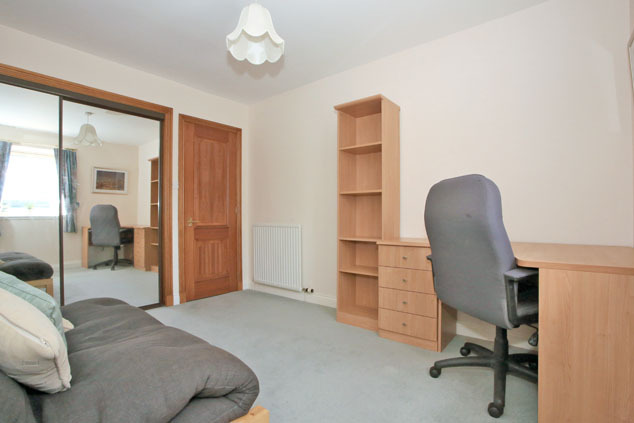 This is a desirable apartment of which internal inspection is genuinely recommended. Communal Hall The entrance door is accessed from the private courtyard and the communal hallways are neat and well maintained being managed under a factoring contract. With a communal security entry system, there is stairwell lighting and windows afford natural light, while tall mirrored meter cupboards create good reflective light. Locking mail box. Hall 19’1” x 3’7” [5.82m x 1.09m] approx. main area This inviting hallway has fresh neutral décor setting the decorative theme to the accommodation. Quality wooden doors and facia give access to the accommodation and a ceiling hatch gives access to the loft space which is partially floored. There is a wall mounted security entry telephone and smoke detector. Lounge 13’2” x 12’2” [4.04m x 3.72m] approx. 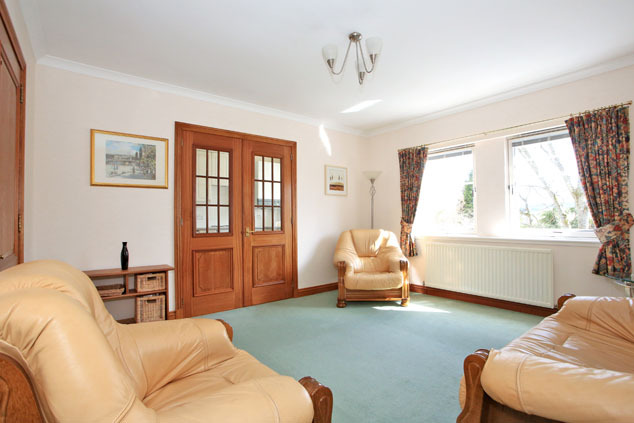 A lovely comfortable lounge with twin windows enjoying a most pleasant outlook to the south towards open fields and South Deeside. 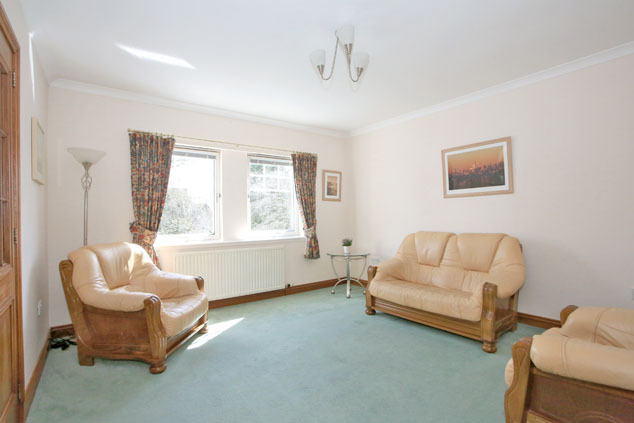 With fresh neutral décor and co-ordinating carpeting, there is ample space for soft furnishings and a T.V. point. 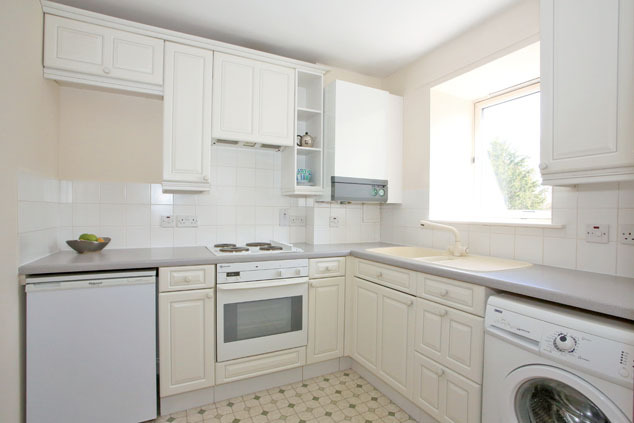 Attractive double part multi-pane doors open to the kitchen providing semi open plan living if required. Kitchen 12’3” x 7’5” [3.76m x 2.27m] approx. Bright and airy, and again enjoying a southerly outlook, the kitchen is fitted with a range of wall and base units incorporating cupboard storage, co-ordinating worktops with splashback tiling and a 1.5 bowl sink with drainer. There is an integrated oven, electric hob and concealed extractor hood, while the automatic washing machine and fridge will remain. Further great storage is provided by the walk-in cupboard with deep shelving and this also houses the gas meter and electric consumer box. 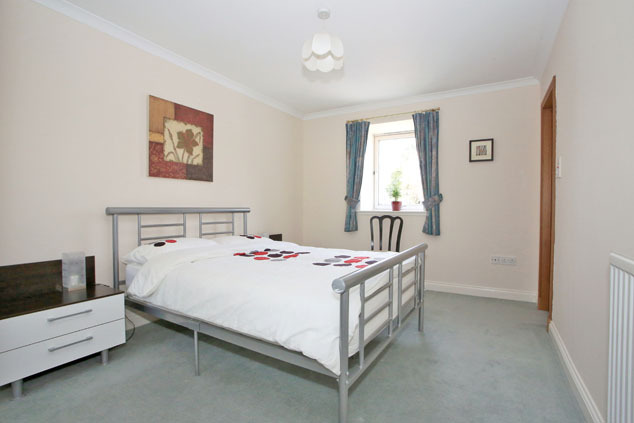 The whole room has fresh neutral décor and vinyl flooring. 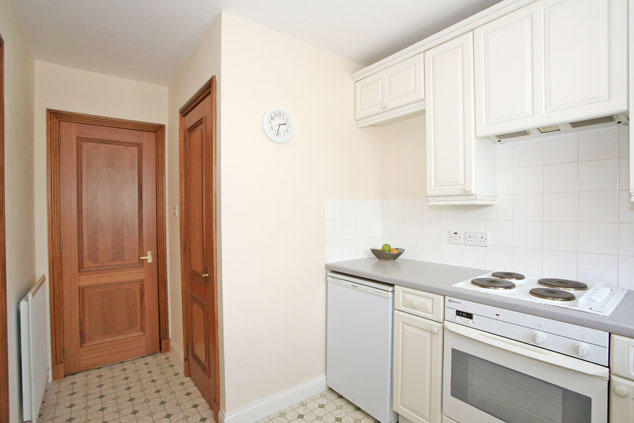 The gas fired central heating boiler is located in the kitchen. En Suite 6’6” x 5’1” [2.00m x 1.56m] approx. With a deep silled opaque window to the front, the en suite is fitted with a pedestal wash hand basin with a large mirror above and shaver point. 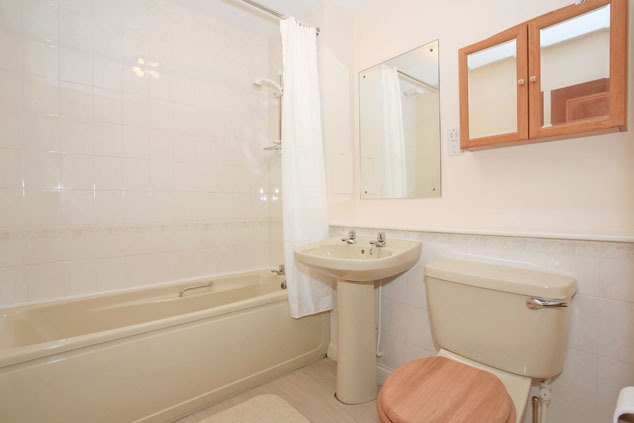 There is a w.c. and a corner shower unit with glazed doors, extensive tiling and an electric shower. There are ceiling spotlights, vinyl flooring and fresh neutral décor. All fittings will remain. Bedroom 2 11’9” x 9’6” [3.59m x 2.90m] approx. 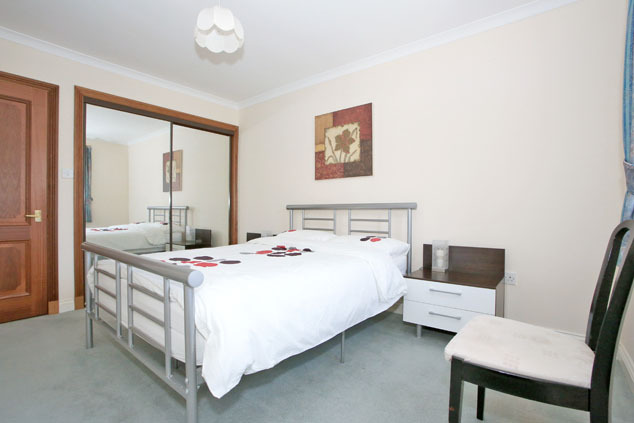 A lovely double bedroom currently utilised as a study and with a window to the rear enjoying southerly views. With neutral décor and co-ordinating carpeting, this room also enjoys a large wardrobe with mirrored doors, hanging rail and shelving. Bedroom 3/Dining Room 12’8” x 8’5” [3.87m x 2.59m] approx. 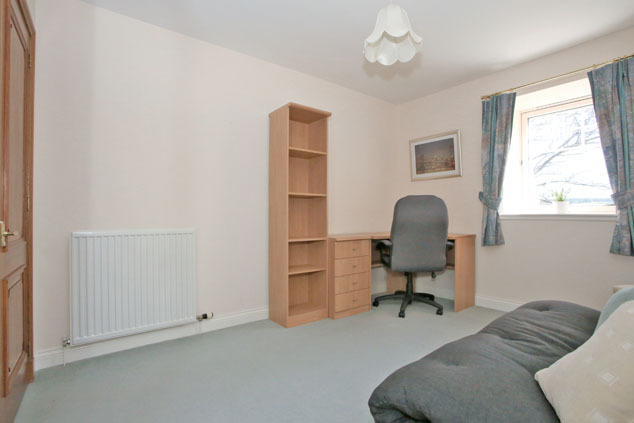 This adaptable room is currently used for formal dining but could alternatively be utilised as a third double bedroom having ample space for free standing bedroom furniture. With neutral décor and co-ordinating carpeting, there is an attractive contemporary chrome central light fitting. Bathroom 7’2” x 6’6” [2.19m x 1.99m] approx. Centrally set, the bathroom is fitted with a pedestal wash hand basin with a shaver point and a large mirror creating depth and light to the room. There is a w.c. and a bath with an electric shower over, curtains, rail and extensive tiling to the shower area which continues to splashback. With fresh neutral décor and co-ordinating vinyl flooring, there is a contemporary central light fitting and an air extractor. The mirrored cabinet and fittings will remain. Outside Accessed from Dunmail Manor is the parking courtyard within which the exclusive parking space is clearly numbered. There are well stocked shrubbery beds with young trees, mature bushes and a visitors parking space. There is also a communal bin store. Notes Gas fired central heating with combination boiler. Double glazing. EPC=C. Communal security entry system. All fitted floor coverings, curtains, blinds, light fittings, integrated and free standing kitchen appliances are included in the sale. 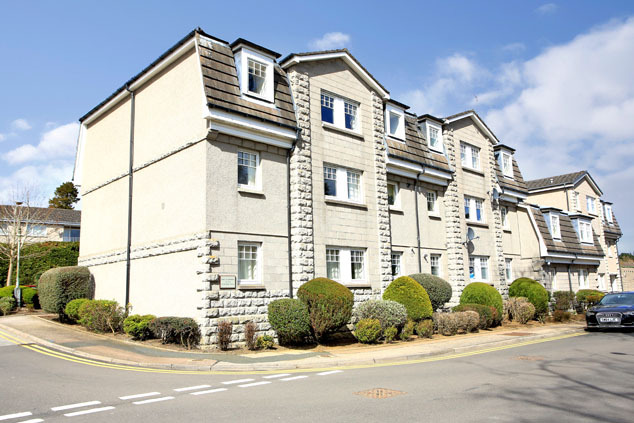 A factor has been appointed for the upkeep of the internal and external communal areas for which a fee of approximately £750 per annum is payable.